Good fit, great material and cut. The chinos are excellent except that the pockets are not deep enough. Keys and phone can fall out when you sit down. Charles Tyrwhitt (Australia) is not only improving its service constantly, they are also giving everyone a better choice with every catalogue. Each new item allows everyone to make a choice that is appropriate for their work, lifestyle and leisure. That puts Charles Tyrwhitt in a high ranking position in my opinion; not just in terms of quality clothing and correct sizing; but also in matters of a younger or older gentleman's constantly improving choices too! Excellent work. 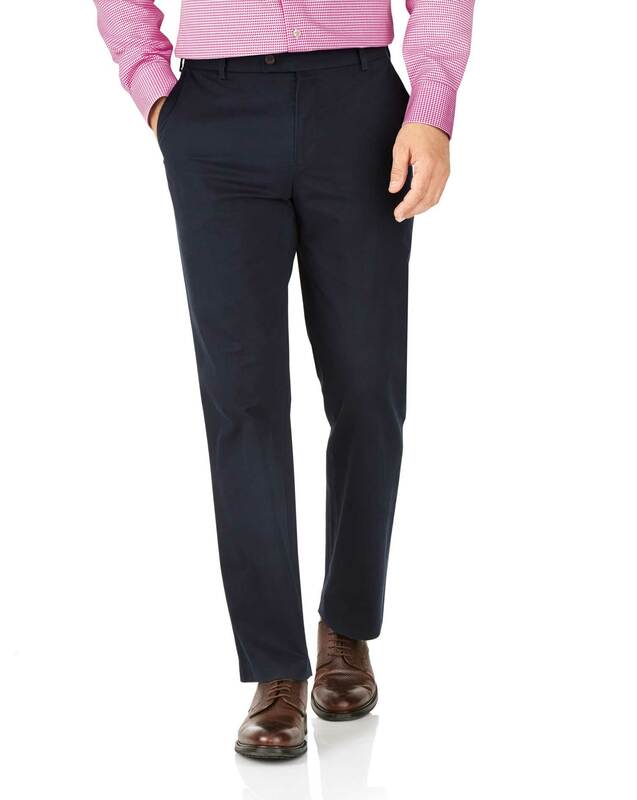 Response from Charles Tyrwhitt: Thank you for your feedback, It is a terrible shame to learn that you found our chinos to be a cheap looking and the pockets are not deep enough. We appreciate your feedback as who better to critique how we are doing than the very people wearing and experiencing our products every day! It’s led to some major improvements over the years, so rest assured we strive to take everything on board. We would love for you to absolutely adore every shirt in your wardrobe so you are of course more than welcome to exchange this item for something more suited to your taste. See above - the trousers were smaller than the stated size. Response from Charles Tyrwhitt: Thank you very much for your feedback. We are terribly sorry that your new Stretch chinos are ill-fitting compared to other CT trousers. As the Stretch chinos are a relatively new addition to our range we do of course welcome any and all feedback to allow us to make necessary improvements. Your thoughts have been shared with our Products Team and we will notify you by email when they have been received back at our Warehouse.